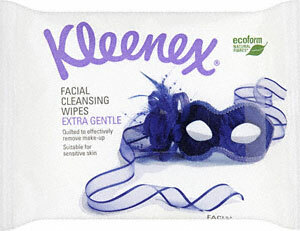 On my last visit to Superdrug, I spotted these facial cleansing wipes from Kleenex that I hadn't seen before. There are 24 wipes in a pack for £3.00 (altho there is a special at Superdrug for £1.49 each at the moment). I still buy Kleenex tissues, so thought the quality of these must be of similar quality. I quite like the wipes. They seem a bit thicker than other wipes I've tried, and they have a very clean almost not there scent. I have found them to be gentle on my skin and I will definitely buy these again when I run out. I'm also curious about the rest of the range that Kleenex has launched. Besides the facial cleansing wipes there are also: Eye Makeup Removal Wipes, Facial Cloths, and Shine Absorption Sheets. 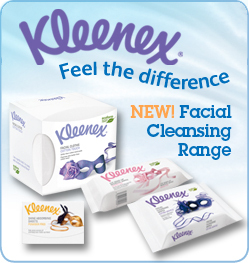 Have you tried any of the new Kleenex range? What did you think? These are my new favourite wipes, they really suit my skin. I also really like the facial cloths! Glad you like them too! I hope they're here to stay!